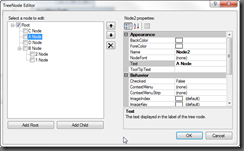 The “Spotlight on Controls” series focuses on a single WinForms control in PrimalForms 2011, details the important Properties, Methods, and Events of the control and demonstrates how to utilize the control. Most of the information about the controls is still applicable to previous versions of PrimalForms. In Part 1 of the Spotlight on the TreeView control, we looked at the TreeView properties, methods and event. Now we will focus on the TreeNodes and the TreeView’s Nodes property. Download the TreeView Samples from the downloads section. Any tips for how to save then reload Treeview related information. I.E. If my user adds a new root with say eight child nodes, whats the best/easiest way to save that information and reload it the next time the application is run? Was thinking about using a .ini file or something like that, but I’m sure there must be a recommended way to do it. Also, these blog series entries are great and very helpful. Would it be possible for each to include an example .pff showing the control and the various features examined in the blog post? That way we could build up reference libraries as we go. There isn’t prefabricated method, but I would recommend using XML since its structure can easily mirror the TreeView’s Nodes structure. 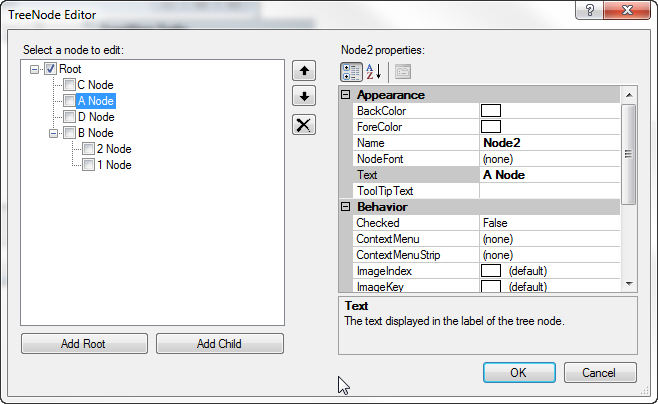 You will have to loop through the nodes and create mirror XML nodes as you go. As for samples, you can find them in the Download section under Sample Scripts.